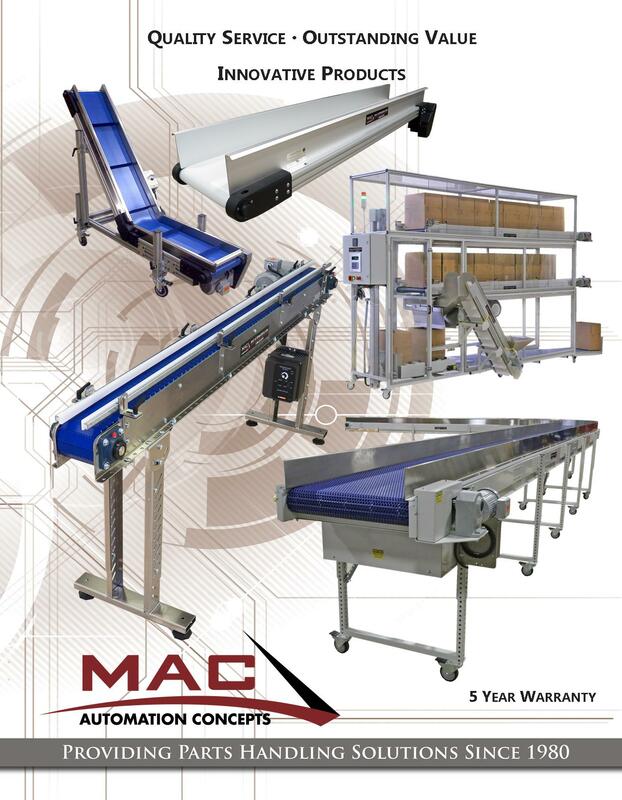 Standard on Horizontal to Incline Style conveyors and conveyors over 30" wide. Please specify preferred control location even if your conveyor does not require a control. This will locate your ON/OFF switch. Photo-eye stops parts at discharge end of conveyor. Foot-pedal override to clear belt or run at full speed. These are only a few common control options. Consult your MAC representative for other common control options available. MAC can supply any of your custom control requirements. If you have a special need, please specify in the comments section. Flared standard is 10" + conveyor belt width. Top of Hopper to floor. Will this be attached to a press?